With a speech about the structure and dynamics of proteins, professor Francisco Tomás joined last February the Royal Academy of Medicine of Valencia. 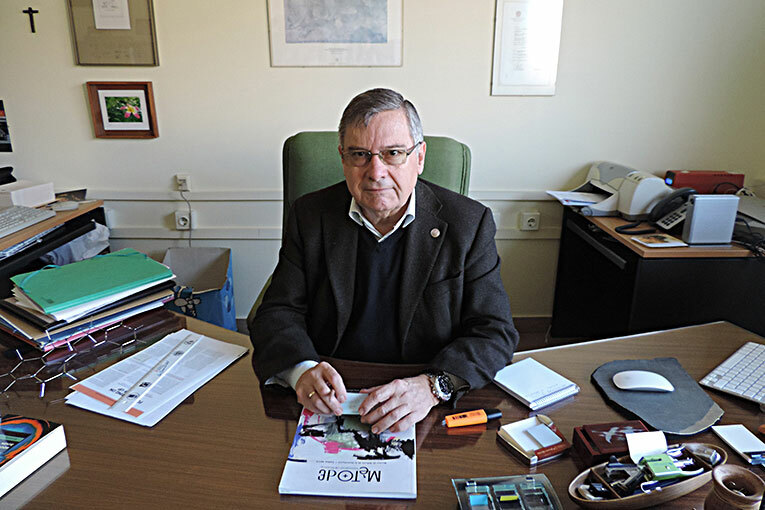 The principal of the University of Valencia between the years 2002 and 2010 chose for his debut in this scientific academy a topic that showed the many consequences of chemistry in our daily lives – a science branch he was driven into by circumstances, professor Tomás confesses. «I wanted to do science and in Valencia you could only study chemistry» he explains. However, after our conversation, we gather that he does not regret this decision. 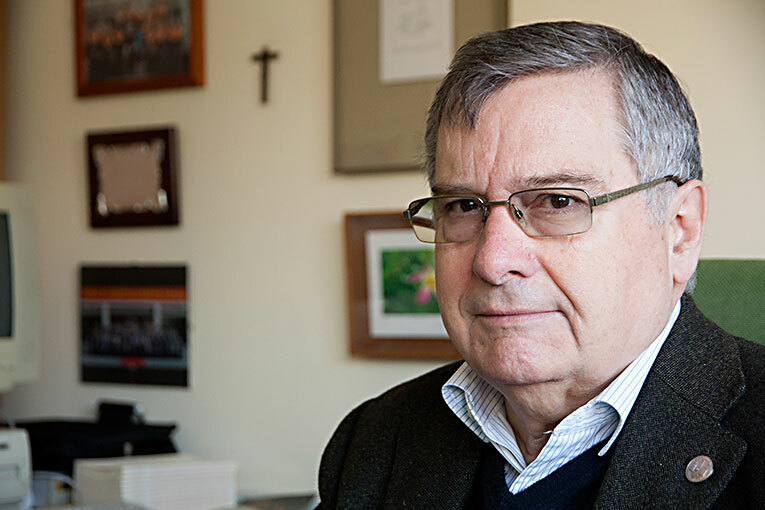 In his office in the Burjassot campus, surrounded by books, science magazines and memories, Francisco Tomás talks with us about chemistry, university, society and science. On the table, next to the last issue of Métode, lays the book he is re-reading, The emperor’s new mind by Roger Penrose. «We use words to make science too», he assures, convinced that the university has to overcome the increasing specialisation and bring science and humanities together. Your initiation speech at the Royal Academy of Medicine of Valencia addressed the structure and dynamics of proteins. Why did you choose this topic? It is a matter related to health and life sciences, but it also had roots in chemistry, the field I am trained in. 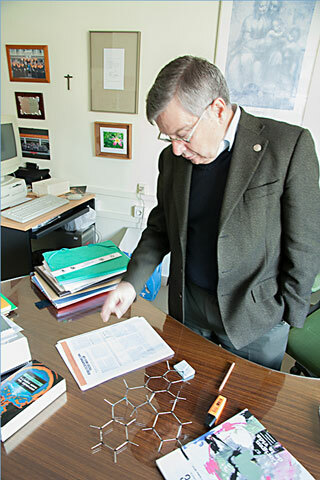 In short, this topic was awarded the Nobel Prize for Chemistry in 2013, which acknowledged those investigations aimed at obtaining working resources to simulate processes which take place in life, in cells and in every living being. Our new chemical and biological structure is made primarily from proteins. 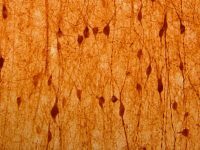 A lot of experimental techniques have been developed to get to know protein structure and its function, but experimental techniques are actually very limited when it comes to study how they work in a human being. That is why we need to create a simulation. This methodology to make simulation possible was developed during forty or fifty years and it crystalised on the works of the group of professors Karplus, Levitt and Warshel, who oriented this research and turned it around. Many researchers started to use it as well and this led to them being awarded the Nobel Prize in 2013. This award means acknowledging the work of all the researchers that have studied simulation processes in large biological systems since the second half of the twentieth century to the present day. How does this apply to the medicine field? It has an impact in practice, and especially in medical research. First, it helps understanding biological mechanisms at a molecular scale. There are processes that are very brief and cannot be observed easily and so this mechanism simulation helps us to understand how they work. The second question, which is as important or maybe even more, revolves around designing reaction mechanisms, for instance, in the development of new medicines. 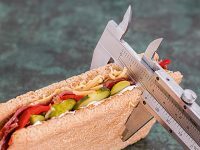 When a biological mechanism gets altered due to a pathology, how can we control this alteration? By producing drugs that intervene in the reaction mechanism and modify its operation patterns. This might lead to a faster, more direct and – also important – cheaper system of understanding the effect of drugs on organisms. You talk about medicine development. There is a social perception that regards chemistry and the pharmaceutical industry from a negative standpoint. What is your opinion on this? There is a school of thought that views chemistry as something bad for the development of human society and that is not true. We are human beings and we work thanks to chemical processes. Therefore, getting to know how these processes work is not bad at all; knowledge never is. Secondly, the world in which we live contains 7.5 million people for whom we must provide a reasonable and comfortable livelihood, food and also good living standards. This means that society has developed a series of tools that make this possible. Chemistry gets the blame when it should not: the one to blame is the economic system that uses the tools of chemistry for its own benefit. We have the example of DDT, a strongly contaminant insecticide that is currently forbidden. But at the time it was a total success: it eradicated plagues, crops became much richer and countries such as India went from endemic hunger to be self-sufficient. Later on, plagues became immune to insecticides, especially DDT, and it was necessary to use a greater amount. And we got to a point where our physiological system, also sensitive to insecticides, became affected. We forgot the fact that we are also living beings, and that is what is changing. The book of Rachel Carson, Silent spring (1962), the work that warned about the dangers of DDT, is considered one the precursors of modern environmentalism and it surely is one of the causes of the negative perception of chemistry. Chemistry has allowed us to reach the living standard that we have now. The problem is when criticism towards chemistry puts the notions of artificial and natural against each other. There are natural things that are very bad too. The most potent venom known is the tetrodotoxin, present in the puffer fish of the Pacific ocean. In nature there are thousands of toxic substances and also many more that are beneficial. And as far as manufactured substances go, more of them are good than bad. There is a vast amount of substances present in our daily lives: drugs or materials such as plastics or nanomaterials come from raw materials such as petroleum, minerals, etc. If there was no chemistry, we could not exist. In the end, we consist of a few atoms well combined. I defend chemistry. The diversity of the world we live in and appreciate can only be explained by chemistry. The world has been driven by people’s ambition during a long time, but also by the thirst for knowledge. All this curiosity is responsible for the boost of knowledge that has shaped the scientific and technological society that we have today. In 2011, the International Year of Chemistry, you were in charge of the opening master class of the school year at the University of Valencia. You spoke about using that year to train dreamers, explorers, scientists… Besides this curiosity you talk about, should a scientist be a dreamer too? However, with the current crisis situation, governments look for short-term solutions. That is not universal. For instance, when crisis broke out in Europe, the German government doubled the resources allocated to research. The economic problem is distressing and there are pressing priorities, such as paying pensions and salaries. It is the disadvantage that countries like ours have: we do not have enough resources for science development. But efforts need to be made, and there are research lines that do not need that much. They have been hidden under the umbrella of the lack of funding and profitability. Right now, our investigation system needs something no one speaks about: young people. Youngsters are leaving to make a living, and also for more training, but many of them come back or want to. And chemistry, for instance, is not a very expensive science, although it does require good equipment and basic infrastructures. You speak about young people. In your career, you have been both a researcher and a teacher. What has been the most rewarding task? Teaching is what I am more satisfied with. But a teacher cannot only repeat what others have done. The university is not only an academy to pass on knowledge; at its core, it is a place where people generate this knowledge. That is why it is so important to put teaching and research together. This combination of aspects is what defines the university as institution. Besides being a teacher and a researcher, you also devoted part of your career to academic management, first as vice-dean and dean of the Faculty of Chemistry, later as vice-principal of research and, finally, as principal of the University of Valencia between 2002 and 2010. What would you highlight from your experience as university manager? I became vice-principal because I loved my university. I felt at home and I found out that I could not just live in it, I had to work for it as well, do something for its benefit. University has a triple layer: research, teaching and management. In other countries, the teaching staff is not part of management, but the University Reform law passed by the Socialist Party was a sort of Copernican revolution. It was an invitation for university members to participate. I had a lot of support during my management period at the university, many people trusted and aided me. I was also aware that what I thought was not the only truth and that there were other ways to act. Especially in a place like the University of Valencia, where heterogeneity makes us richer. I would like to live in a society that acknowledged that, with the exception of the Catholic Church, its oldest institution ingrained in its social structure is the university. The University of Valencia is more than 516 years old, for instance. 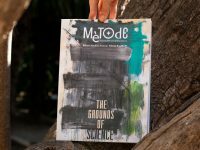 In 2006, in an interview published on Mètode, you were optimistic regarding the situation of science. You said: «science will carry on forward, it will prevail». Do you think the same ten years later? I am optimistic because, in the end, we are the children of history. We have done atrocities in the name of science, but in general terms, the scientific progress has meant an improvement for human condition, society and values. I think of science in the long term. From the reform in 1980, we entered in a progress system. We had never experienced such a great increase in the production of science in our country as the one we lived in the beginning of the twenty-first century, when Spain became the ninth country in scientific production in the world. Now we are a bit far from this position, even though we have not gone that far thanks to the effort and the imagination for researchers in this situation of crisis. I would love to end with a touch of nostalgia for the university where I studied and where I initiated both my teaching and research work, the university that was at the Passeig del Mar [the old name of Avinguda de Blasco Ibáñez], where you could have a coffee with your pals in law, humanities or medicine and explore the possibilities to fight for freedom and knowledge in the society of the time, and defend the universality of knowledge without artificial divisions. That is the model university where I grew up and in which I believe. 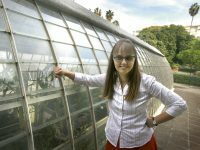 Marta Navarro. Journalism student at the University of Valencia. Anna Mateu. Assistant Editor of Mètode Science Studies Journal. 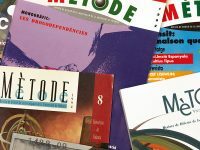 Cap de redacció de la revista Mètode. Journalism student at the University of Valencia.